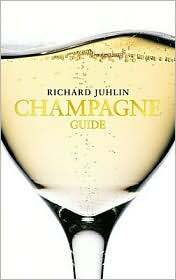 Written by an author who by his own account can smell another man’s gum infection in an airplane from six rows back (a gift or a handicap one might ask) this is a definitive guide for the world of champagne. Juhlin has tasted over 6,500 different champagnes and with his acute palate and prodigious memory can remember all of them well. In fact he somewhat embarrassingly admits he usually has an easier time remembering champagnes than people. The first 60 pages or so are dedicated to the basics of champagne including history, storage, service, as well as recommended hotels and restaurants in the region. The majority of the over 400 page wine book, however, is devoted to reviews of 530 different champagne houses and their wines. From the grand marques (Moet & Chandon, Veuve Clicquot) to small family owned estates Juhlin gives an honest critique of the overall quality of the wines and which vintages and cuvees stand out amongst them all. In the back is a guide to his best rated champagne in each vintage as well as his personal list of top 100 of all time. Highly recommended for anyone wanting to branch out of the typical champagnes one finds in every shop to try some truly outstanding and unique wines. See the accompanying blog for this magnificent wine book!